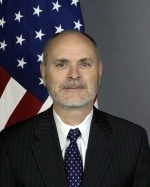 Steven Taylor, formerly the State Department‘s deputy chief information officer and chief technology officer for operations, became acting CIO in August. Fedscoop reports Taylor will be responsible for the department’s information resources and technology programs and oversee those programs for 260 overseas missions. The 24-year department veteran will also be in charge of the department’s $1 billion information technology and knowledge management budget, according to the report. Taylor succeeded Susan Swart, who resigned in July to take on the CIO role at the International Monetary Fund. He has served as minister counselor for management, director of the department’s worldwide messaging systems office, SMART program director and counselor for communication and technology.